The Benchmark Award is given to an attorney or firm whose fierce litigation tactics have led to significant achievements. 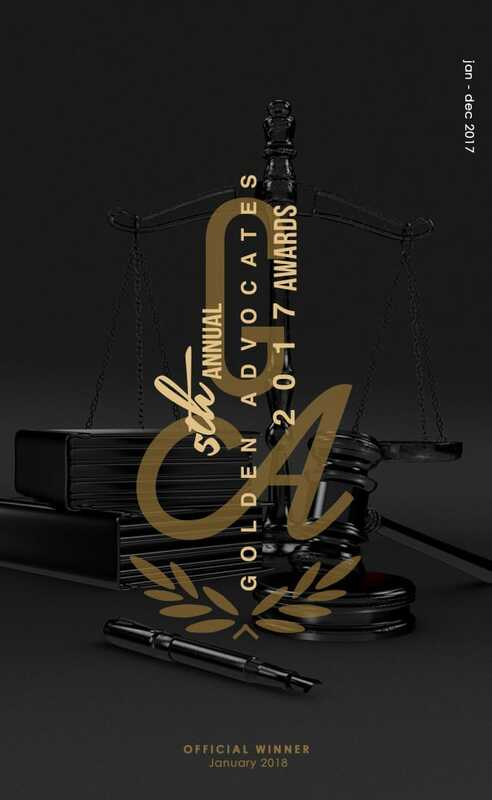 Attorney Brian Chase of the noteworthy firm Bisnar | Chase, has proven himself a true Golden Advocate as this is the second year he has received an award. This year, Chase secured his position as a Benchmark attorney through his procurement of a significant settlement on behalf of his client who suffered irreversible brain defects after being hurled into a bulletproof windshield due to a defective seat belt. Attorney Chase’s client sustained numerous injuries ranging from skull and orbital fractures, to brain injuries and damages to his eyes, resulting in a lifetime of altered cognitive function. Brian Chase’s victory in the courtroom provided his client the security needed to continue to provide for his family through the most daunting and challenging time of his life. One of 2017’s Top 10 High Stakes Litigators, Attorney Chase proved his superior litigation tactics as he pursued this case to the end, obtaining a significant settlement for his client.